Something we feel really strongly about as parents is teaching our kids about money–how to save it, spend it, and share it. 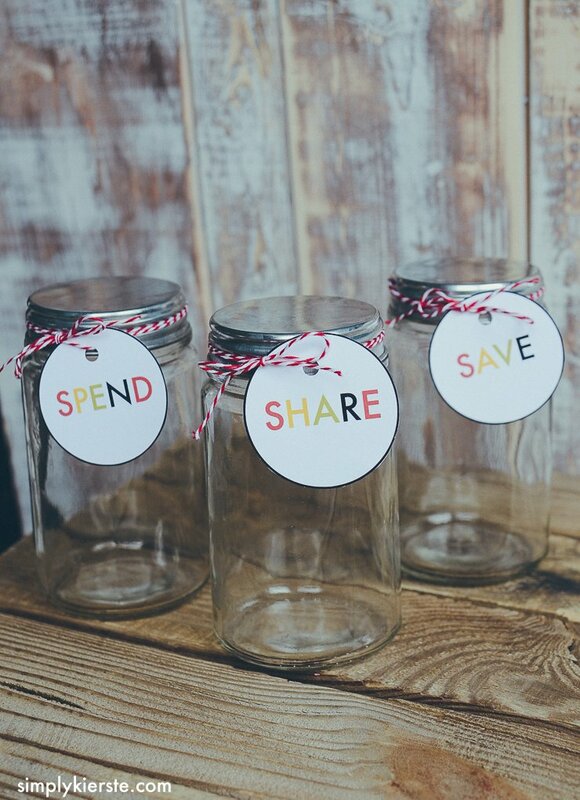 Raising financially stable kids starts is a process, and these simple Save, Spend & Share saving jars are a really great way to start! The value of teaching your kids about money is immeasurable, and will have life-long effects. It teaches them what money is worth–what things cost, and what it really takes to pay for things you need or want. It also reduces the sense of entitlement, which in this day is a constant battle. As they get older, it also prepares them for real life–to be able to leave the house and be financially responsible as a young adult. We all know that financial decisions you make when you’re young and first on your own can and will affect you for years to come, and as parents, we want to give them the very best training we can. So how can three little jars help? 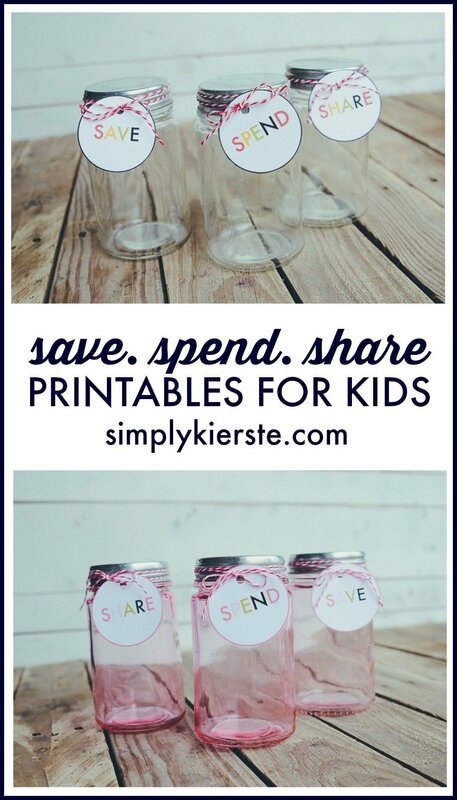 The premise behind these jars is also simple, and I love that it’s so easy for kids to understand. They can literally see all of their money–exactly where it went and how much they have to spend They can also watch as their savings adds up, as well as the amount they’re sharing (giving) to others, and being able to actually see it in front of them makes a big impact. How does it work? 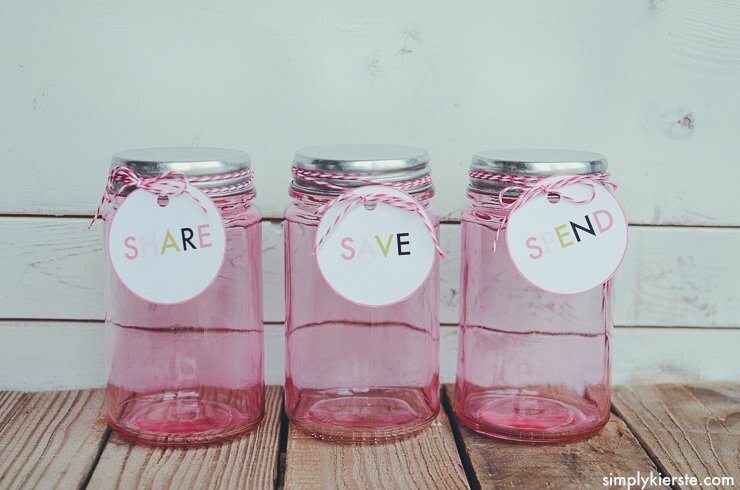 All the money they earn or are given is divvied up between these jars. The percentages are decided by you, and how you want it to work in your family. 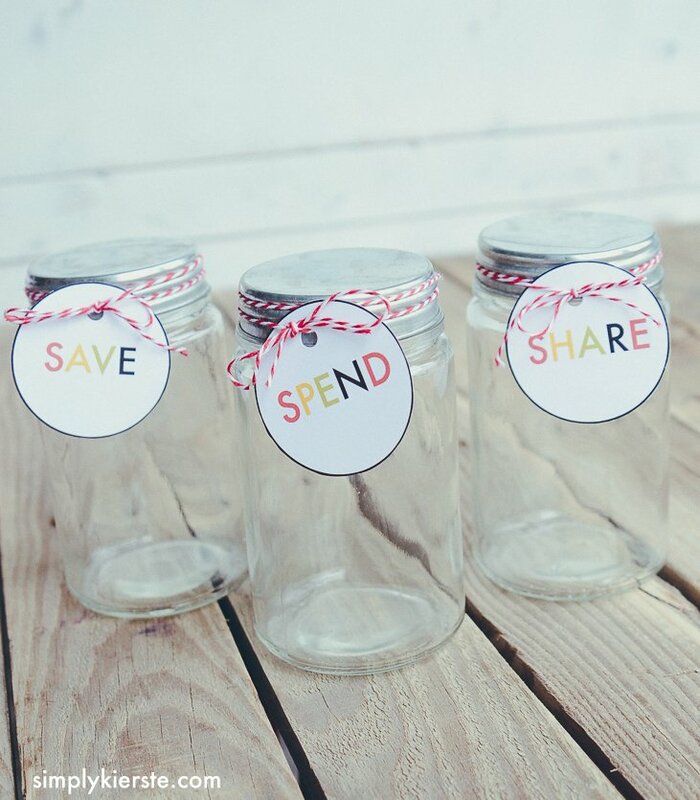 In our family, it’s this: 50% = SAVE, 10% = SHARE, and 40% = SPEND. 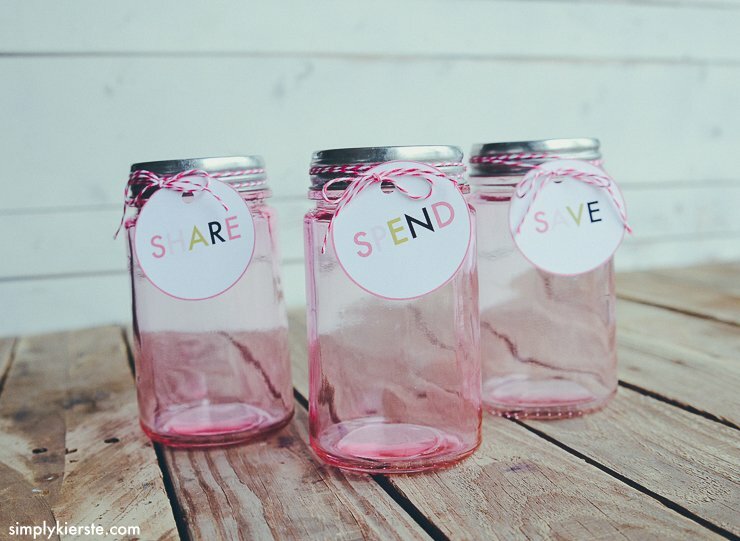 You can just use the jars, or write it all down on a worksheet (which I recommend) to keep track of their progress. 1. 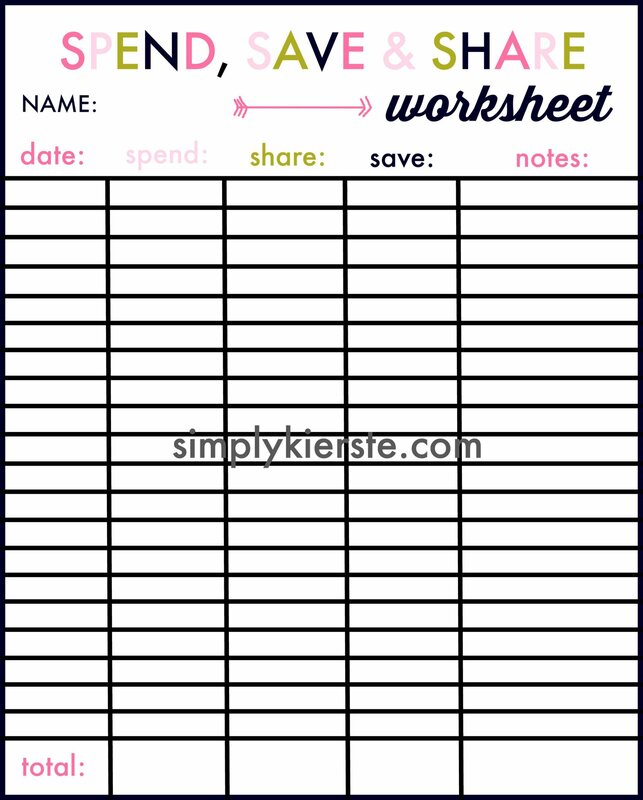 Download printable (see bottom of post) onto white card stock if you want to tie the tags around the bottles. 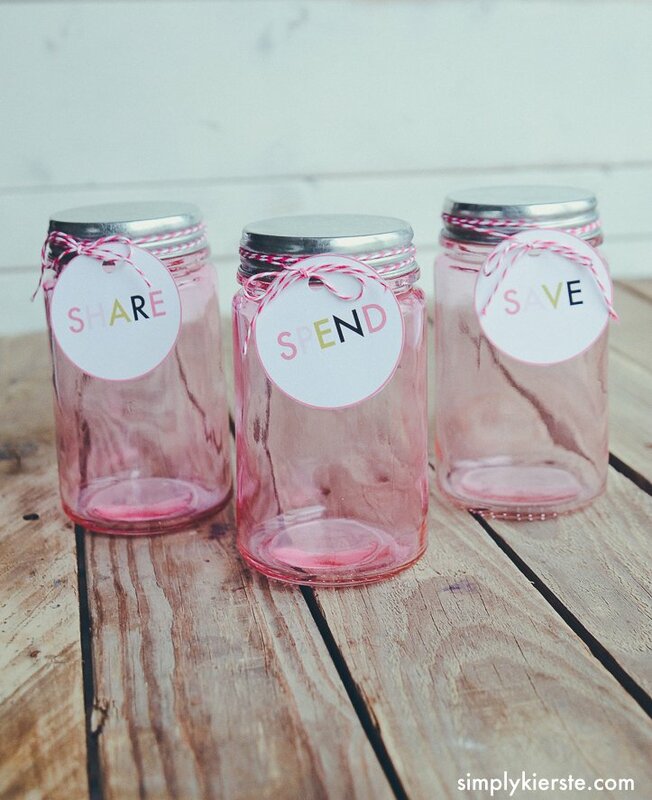 You can also print them onto full-sheet white labels, then when you cut them out and remove the backing, you can stick them right on the front of your jars. 2. Cut out the tags and either place them on the front of the bottle/jar, or use baker’s twine to tie it around the top. I’ve created these super cute tags for you, if you’d like to use them! I actually made two sets–one with pink, and the other with reds and blues. 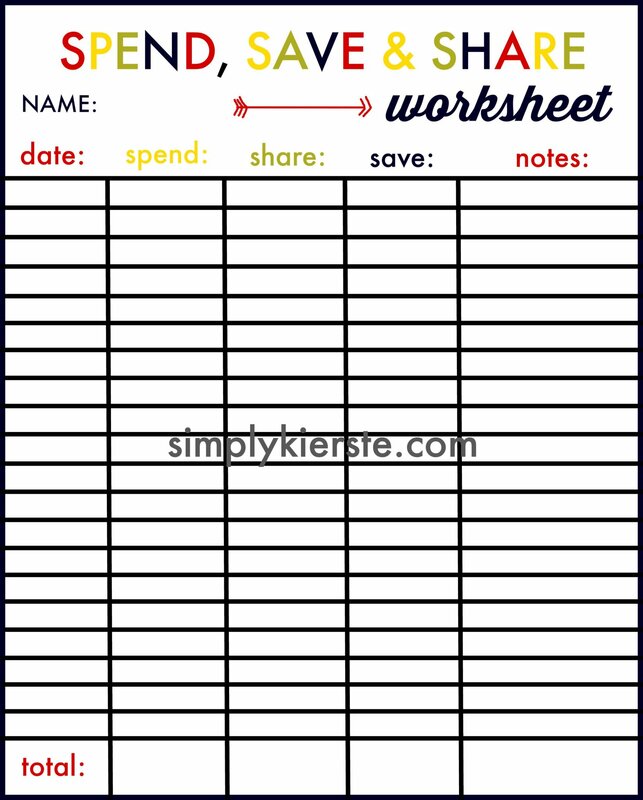 I also made a printable savings worksheet to keep track of their savings, spending, and sharing–one to match each tag. BY DOWNLOADING THE FOLLOWING FILES, YOU UNDERSTAND THAT THEY ARE FOR PERSONAL USE ONLY, AND NOT INTENDED FOR RE-SALE or REDISTRIBUTION. COPYRIGHT KIERSTE WADE, SIMPLY KIERSTE.